We have risen up to every expectation of its customers and believe that we are working to meet the needs of the present generation. JSRM is revolutionizing the real estate arena and is being widely recognised for these futuristic and mammoth projects. Besides these impressive ventures, the company's portfolio also includes a host of residential properties, commercial properties, agriculture properties or industrial properties. By undertaking ventures ranging from small residential complexes to mega integrated townships JSRM Pvt. Ltd. has ample of services and Real Estate options available with it, which in turn helps the organization in serving customers. Company is specialised in providing Apartments, Plots, Villas, Farm Houses, Residential Property Services, as it initially started as a marketing of residential property. Our residential property teams are composed of networks of qualified experts and property researchers, providing the most up to date knowledge on all factors affecting property sales value and asset potential. With several varieties of property options we allow a buyer to have a number of choices to choose from which suits his interest and budget. 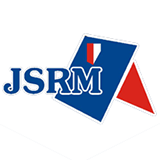 JSRM Group of Companies is one of the most reputed names in the industry. We are privately held company and is headquartered in Old Faridabad, Haryana.